During a champagne degustation in the Austrian Alps our client and us have been exploring, over few glasses of La Grande Dame, all design possibilities for a unique and extravagant saber to hit the bottles in proper way. 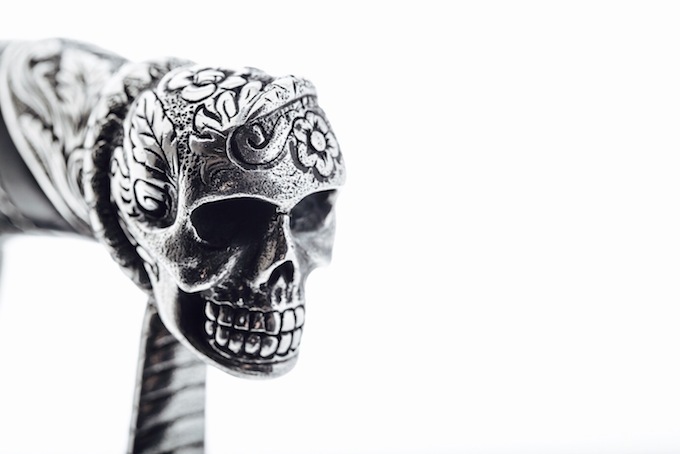 Few weeks later, back in Bali and surrounded by a dozen of the best Balinese artisan, we had plenty of scope to arouse the cobra-skull-saber. 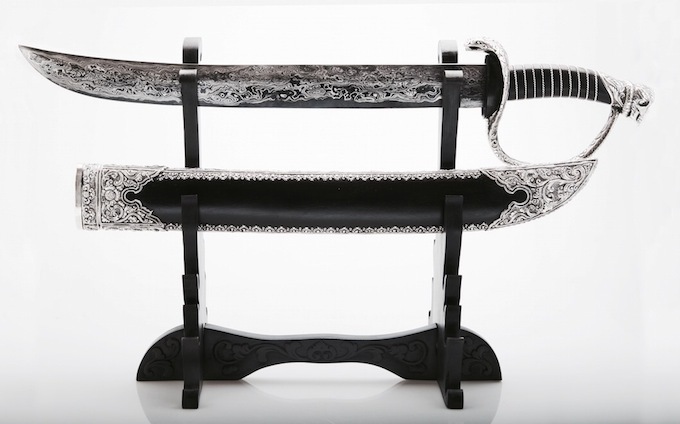 It took us nearly one month transforming finest materials like irang wood, silver and a 181 layers Damascus-Steel package in to this saber. 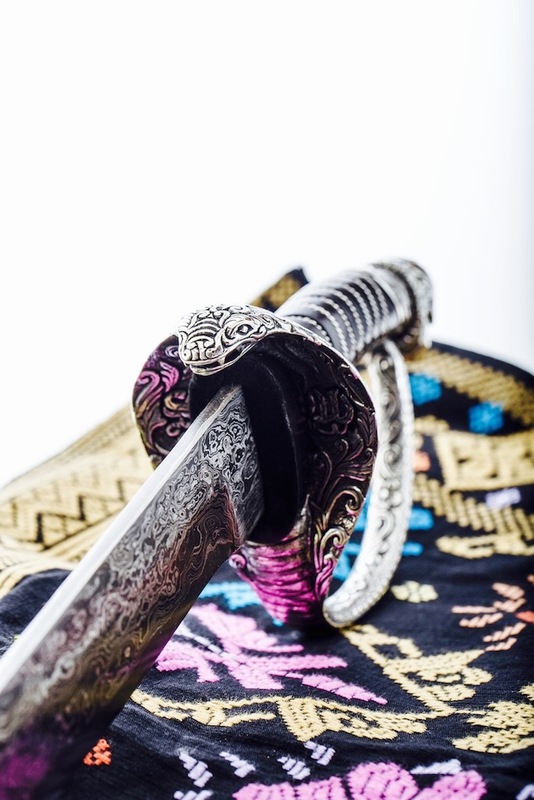 Finally after all the fine-tuning the 60 cm long sword was bedded in a hand-woven “Songket” covered by black suede leather. 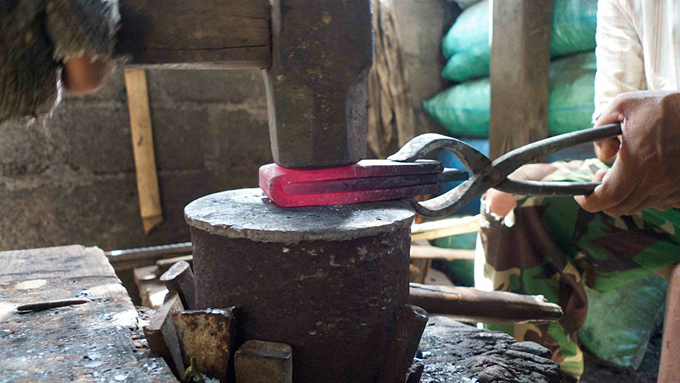 For all those, who don´t know yet; sabering champagne is a tradition that dates back 200 years. Hitting the lip of the champagne bottle breaks the glass to separate the collar from the neck and the inside pressure of around 90 psi ensure that no glass falls back in to the bottle. An experienced “Sabreur” opens the ice cold bottle under little loss of sparkling wine. Madame Clicquot and good old Napoleon would agree there is always time for little “Sabrage” action and a glass of champagne. For your own individual saber feel free to contact us! For this performance test we used the 27 cm Slicer Knife from the Ryan Clift series made from M390 steel. Also this knife came sharp like this out of the box, thank´s to Windmuehlen´s dry fine grind. 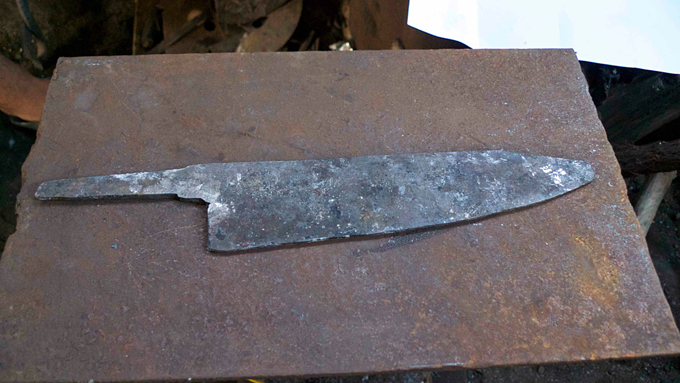 For this performance test we used the 24 cm Big Chef Knife from the Ryan Clift series made from M390 steel. 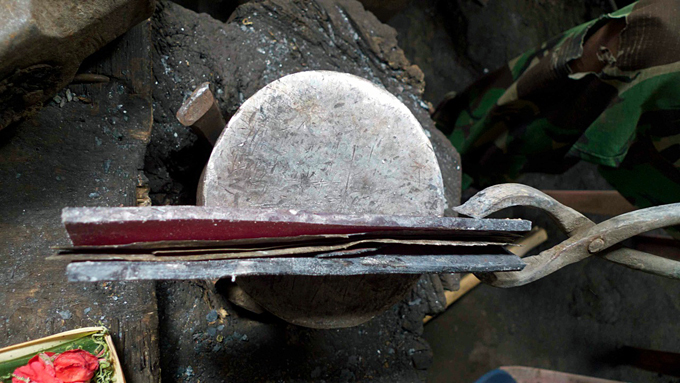 The knife came sharp like this out of the box, thank´s to Windmuehlen´s dry fine grind. 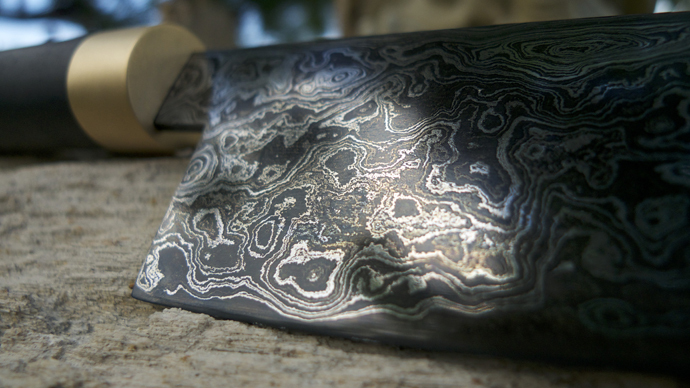 The hand-forged double beveled blade of the Gold Gyuto featuring five metals including 21 karat gold and is probably the first of its kind. 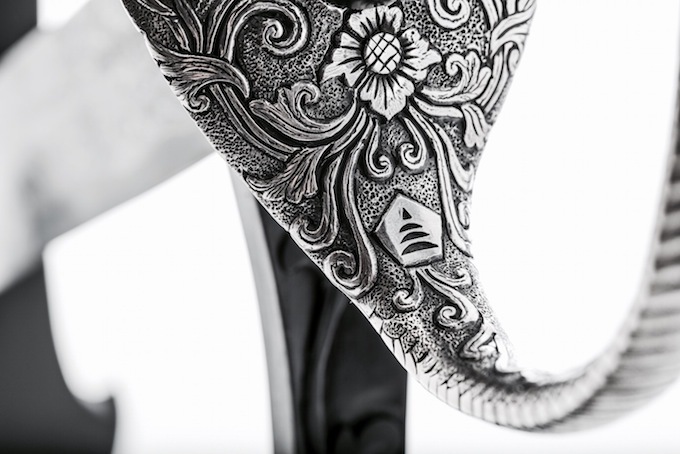 This knife, which will only be available by special order, is the result of a design collaboration between Blades of the Gods and a high-end speciality knife enthusiast from Singapore. 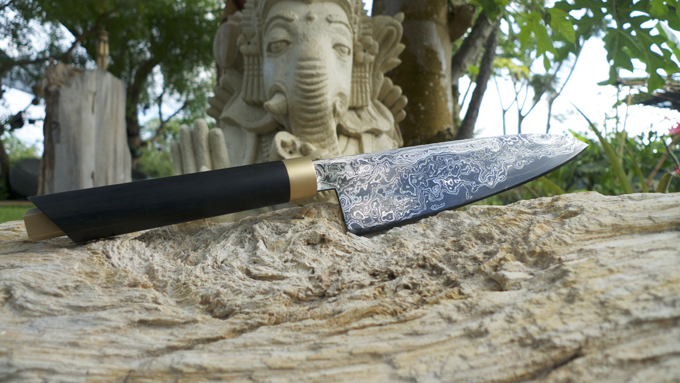 The Gold Gyuto has a 210mm blade crafted in the Lima Logam (Five Metal), a nearly buried in oblivion Balinese forging style. 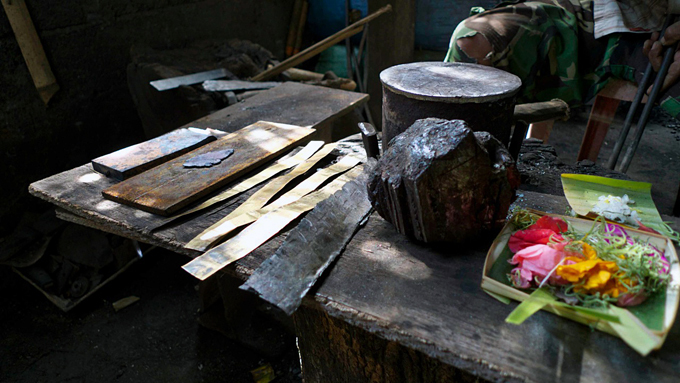 The metals include iron, meteorite, nickel, carbon-steel and 40 grams of 21 karat gold. 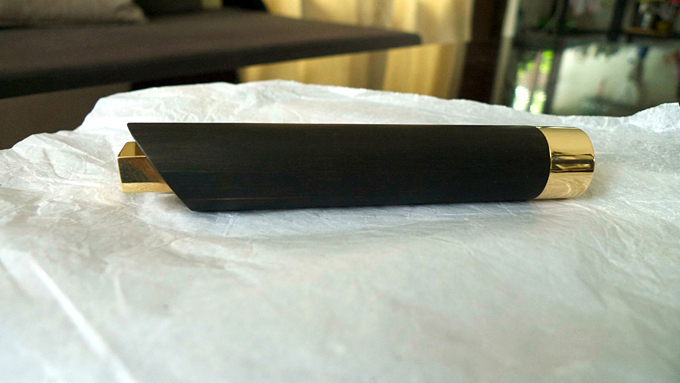 The handle is made from Irang wood and features sandblasted 21 kt. 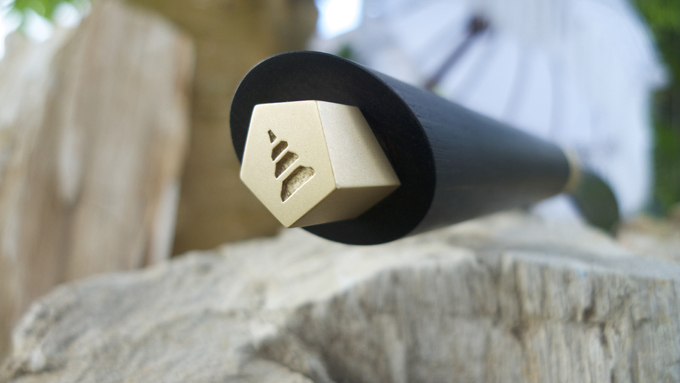 solid gold ferrule and the signature pentagon logo. 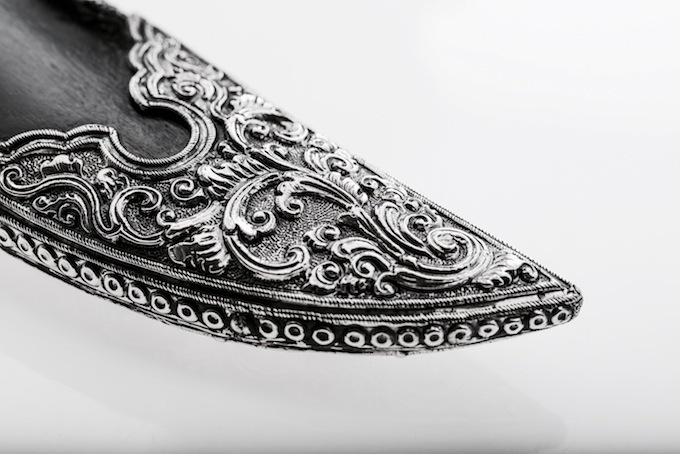 As with all our knives the blades integrated Damascus pattern is hand-forged by Master Blacksmith Empu Ketut Mudra and is the highest of quality and craftsmanship. 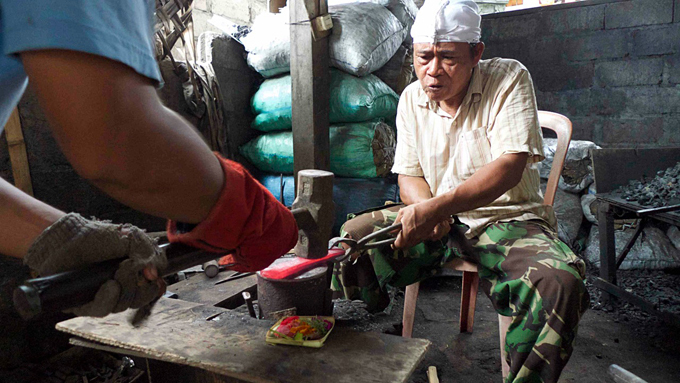 Each work-step of the three week processing period was timed and based on the belief of Empu Ketut Mudra on special forging-ceremonial-dates written down in the Balinese lunar calendar to enhance the power of the blade and its owner. Gold was chosen for this masterpiece because of it’s association and believe in success, achievement and sophistication. For this performance test we used the 19 cm Chef Knife from the Ryan Clift series made from M390 steel. The knife came sharp like this out of the box, thank´s to Windmuehlen´s dry fine grind.